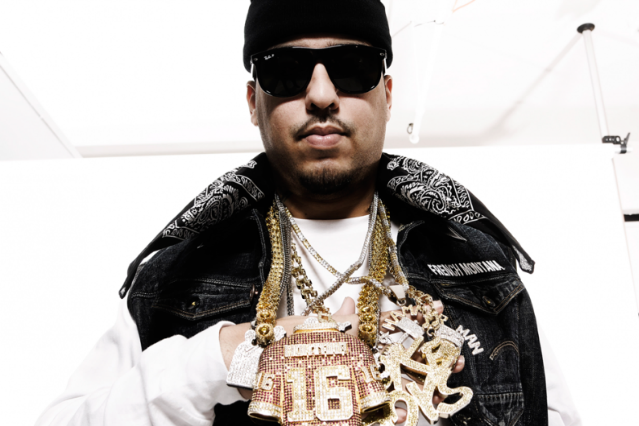 Who: Bronx-raised rapper French Montana (born Karim Kharbouch in Morocco) has been grinding locally for years and can be seen in a mid-aughties chapter of the now-defunct SMACK DVD magazine, pulling handfuls of cash out of his jeans like leaves from a pile of mulch. And though he made his name playing brilliant foil to the shower-sing-along harmonies of incarcerated (as of press time) New York mixtape hero Max B, Montana, 27, has raised his profile nationally through consistent collaborations with heavy-hitters Waka Flocka Flame and Rick Ross. Sounds Like: A sloth with sunglasses on. Montana pairs his slurry delivery with an impeccable ear for production, having worked extensively with Dame Grease (of DMX’s It’s Dark and Hell Is Hot fame) and upstart Harry Fraud, whose sound couldn’t be more New York if it included a subway car’s closing-door chimes. Montana also refuses to be hurried by the thunderous, post-crunk production of Southern beatmakers Lex Luger and Juicy J, with whom he frequently collaborates.